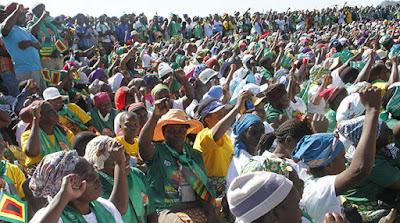 Mashonaland Central yesterday celebrated President Emmerson Mnangagwa’s victory in the Presidential elections and Zanu-PF’s clean sweep of all the 18 constituencies in the province in the just-ended harmonised elections. Business came to a standstill as jubilant party supporters drove through Bindura city centre in a convoy of vehicles. The convoy passed through Chipadze suburb as it made its way to Progress Shopping Centre in Chiwaridzo Phase 11. 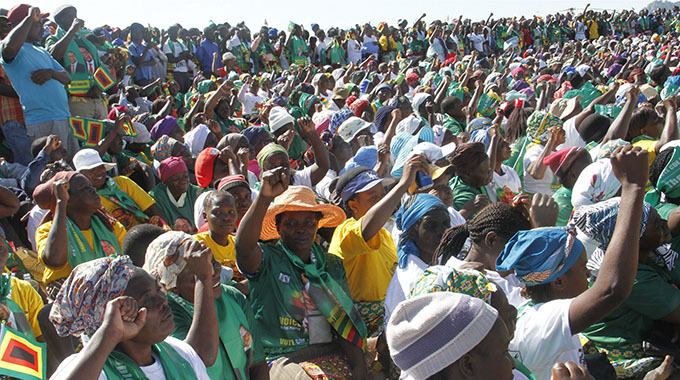 Addressing party supporters at Progress Shopping Centre, Politburo member Senator Monica Muvhunga thanked the province for voting resoundingly for the President and party candidates. “I thank the province for a job well done,” she said. “We have the highest vote for the President, we retained all 18 seats. We are the only province who managed to have five senators, five women’s quota representatives and eight provincial council members. “This was made possible by your vote for the President, National Assembly members and councillors. All this was possible because of teamwork from cell level to the highest leadership. “The province put the country first because the liberation struggle started here. I say to those who defected and were lured by sweets, come back, you are always welcome, don’t be afraid. Zanu-PF National Consultative Assembly member Cde Canicious Dengu thanked Mashonaland Central for preserving the country and heritage. He said the province has done well in electing a leader with a vision. Bindura South National Assembly member-elect Cde Remigious Matangira said the voice of the people was “indeed the voice of God”.